The Upper Valley Swim Camp is designed for competitive swimmers who are looking to improve technique across all strokes, starts and turns. The Neal Studd Swim Camp at Florida State University is a camp that focuses on giving each swimmer age 7-18 the tools to improve their overall technique. The camp focuses on, fitness, stroke technique, starts, turns, nutrition and mental training. Are you a Student of Swimming? What are the obstacles you face to improving as a swimmer? Look no further than your passion for the sport. 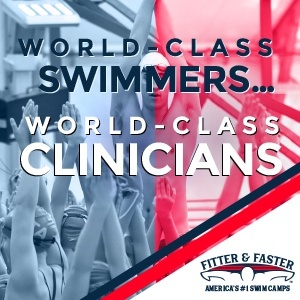 Come and train for a weekend under 2016 Women’s Olympic Head Coach David Marsh, along with SwimMAC Team Elite, and the rest of Team Elite’s exceptional coaching staff. Often, the best question to ask is: am I making the most of this opportunity to become a better swimmer today? 4-time Olympic Gold Medalist Lenny Krayzelburg and 8-time Olympic Medalist Jason Lezak will lead a camp and cultural experience in ‘The land of Creation’ Israel June 15-24, 2016.